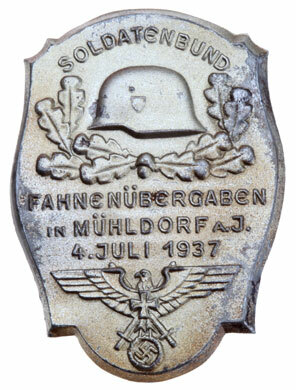 Soldatenbund Fahnenubergaben in Muhldorf: The NS Soldatenbund was founded in 1936. It was absorbed into NSRKB in 1937. 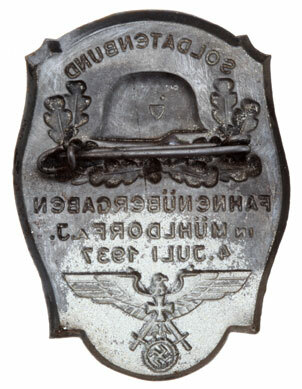 This badge was given when the old flags were exchanged for new flags showing the NSRKB Eagle. Stamped steel, 50 x 35 mm, scarce, moderate wear.